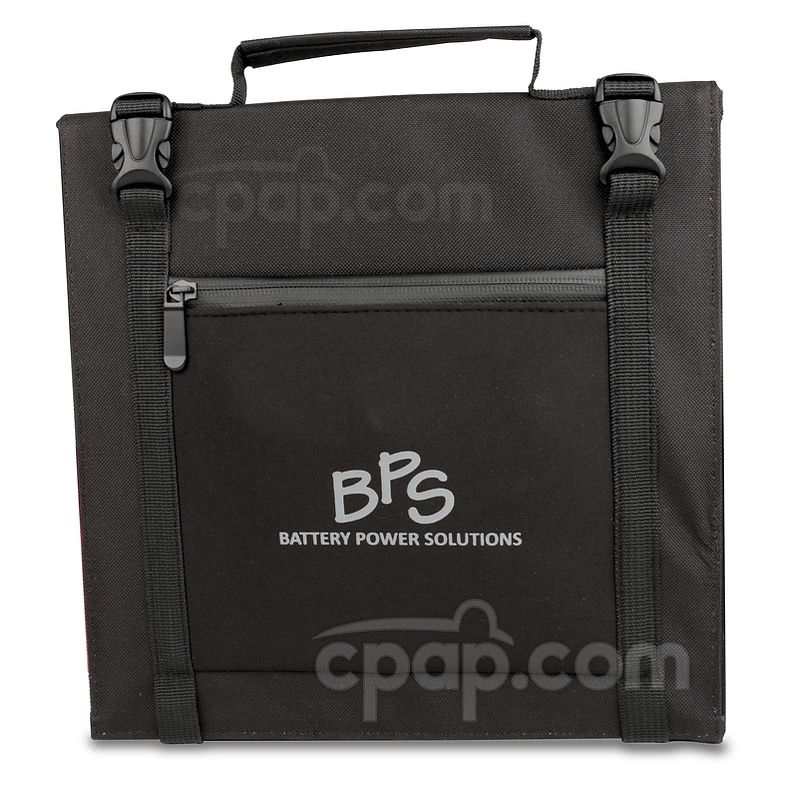 The SunPower Solar Panel by Battery Power Solutions is a compact and collapsible solar charger which draws energy from the sun to charge the C-100 and Freedom CPAP Battery Packs. Open the buckles to release the panels, place in direct sunlight and begin transferring solar energy to the battery. The SunPower Solar Panel folds into a discrete 11" by 11" square, leaving behind a small footprint. Battery Power Solutions SunPower Solar Panel 40W allows for a manageable and efficient approach to transferring alternate energy. No additional materials are needed to operate the solar panel. Whether charging the C-100 or Freedom CPAP Battery packs or another small electrical device, the solar panel is intended to operate with ease. When placed in a sunny environment, the solar panel may charge the C-100 or Freedom Battery within 4 or 5 hours. It is best to place the solar panel outside in direct sunlight on a bright, sunny day. Be sure to remove any debris that may fall around the unit, for quickest charge. Also, move the solar panel away from branches and brush to create a open path for sunlight to hit the solar panel. If all variables are right, the solar panel will charge a compatible device quickly and efficiently. While the main function of the SunPower Solar Panel is to charge the C-100 or Freedom CPAP Battery Packs, an added benefit to the design is the unit's ability to charge other electrical devices 18 volts or less. There are two ways to connect the other electrical devices to the solar panel. 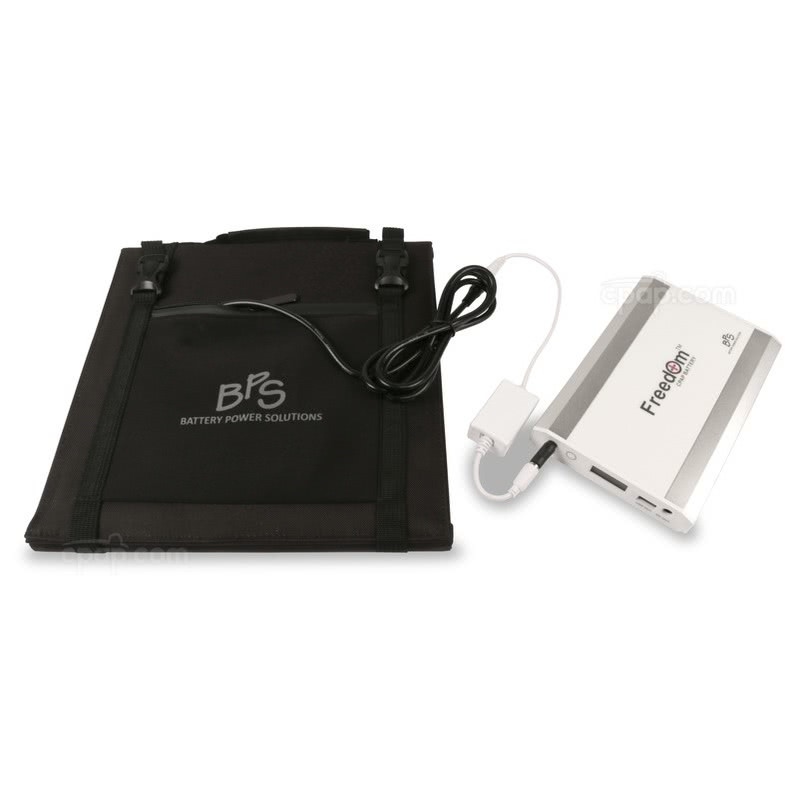 The device can connect to the DC Input Cord, which is provided with the C-100 or Freedom CPAP Battery Pack. Connect the SunPower Solar Panel connection cord to the DC cord by using the connection tip. Then, use the end designated for a cigarette lighter to connect to the device. 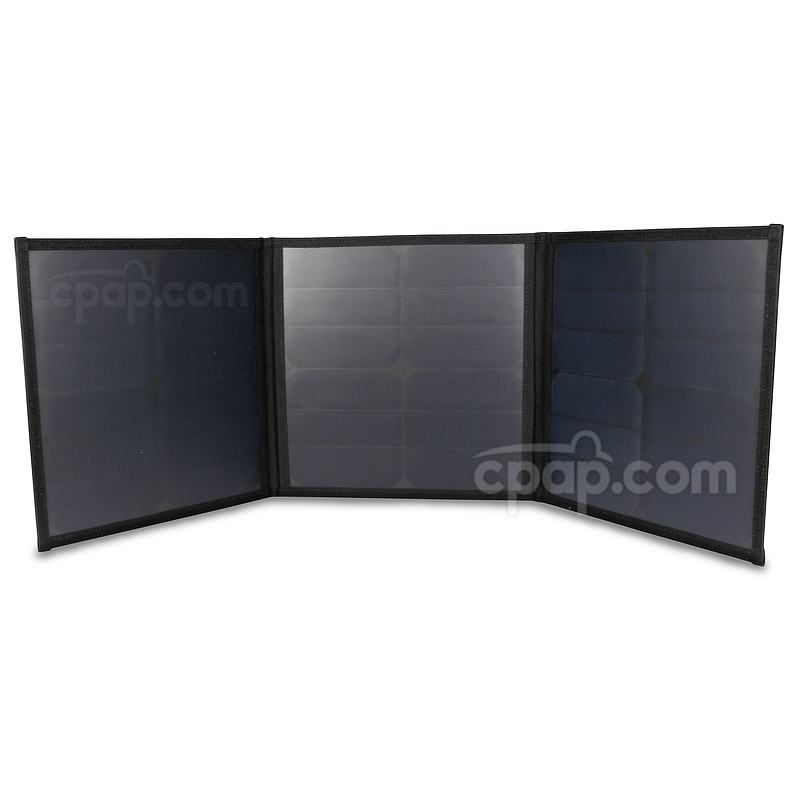 The solar panel is a compact unit with exceptional design elements. The exterior of the unit is coated in a durable, black fabric. The material is waterproof and protects the solar panels from inevitable weather. Please Note: While the material is protective, avoid leaving the unit outdoors because the connection cord must remain dry. 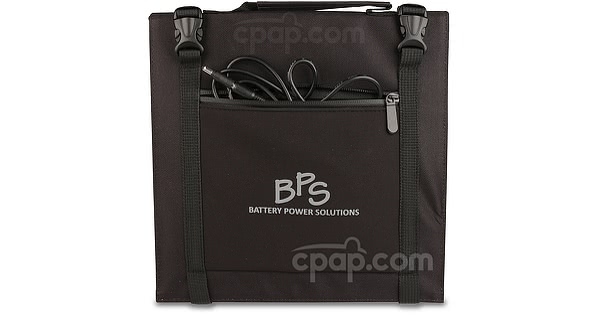 Two buckle clips located near the top of the BPS SunPower Solar Charger secure a strong grip on the panels. 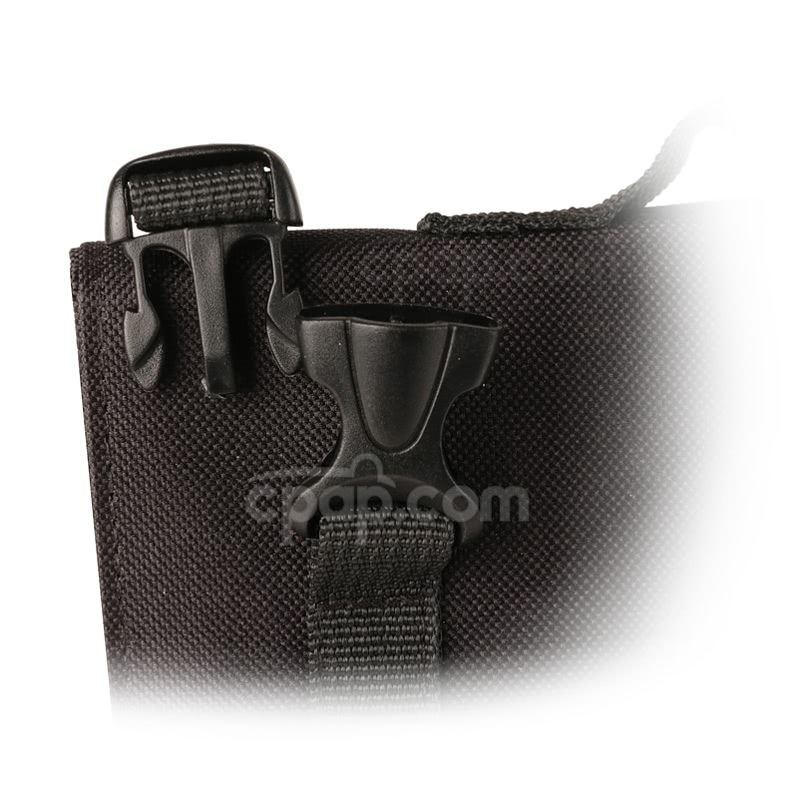 The user may lift the device from its convenient carry handle without concern, as everything is tightly bound together. The connection cord is found in the center compartment of the charge pocket. When preparing to use the SunPower Solar Panel, unzip the pocket to release the cord. Please Note: The cord is attached to the Solar Panel unit and cannot be removed. Release the two buckles positioned at the top of the unit to open the panels. Locate the connection tip. The black material in the center of the connection tip extends to one side. The smaller tip has a tiny letter "N" embossed into the material. Insert the connection tip into the SunPower Solar Panel, use the other side of the connection that is labeled with "N" to connect to the C-100 CPAP Battery Pack. Put the solar panel in direct sunlight to begin charging the unit. The solar panel will charge at an optimal rate if placed outside on a bright, sunny day. The ideal environment lacks clouds and shade. It is best to have an open pathway from the panel to the sunlight, so avoid placing the solar panel near a tree. Hanging branches will block the sun from powering the unit. Make sure to track the sun's movement and adapt the position of the solar panel to ensure that sun is reaching the unit throughout the day. The positioning of direct sunlight onto the battery pack is not advised. 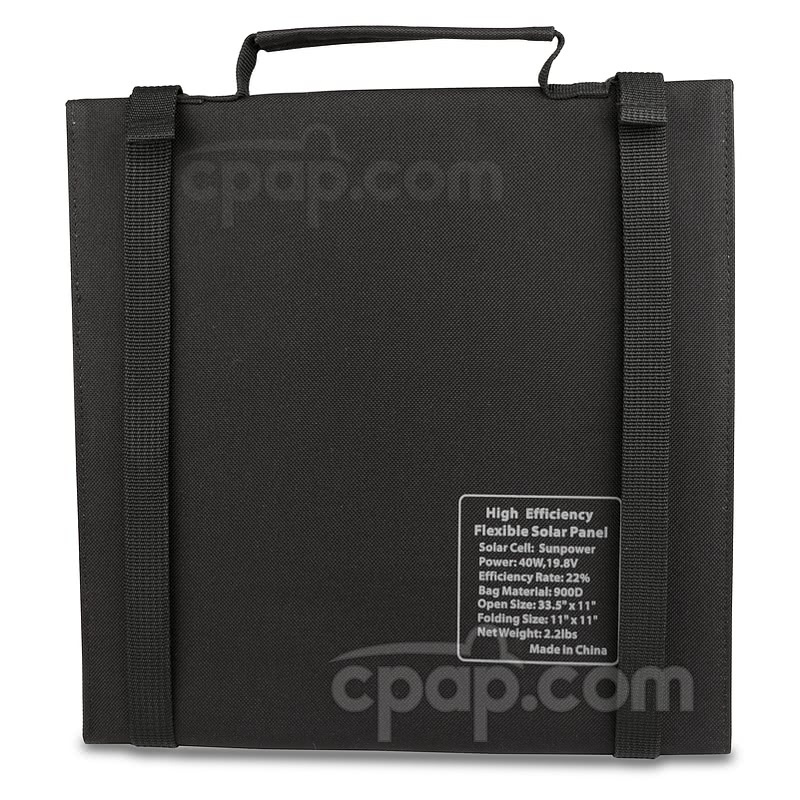 It is best to cover the C-100 Battery Pack to ensure its protection. 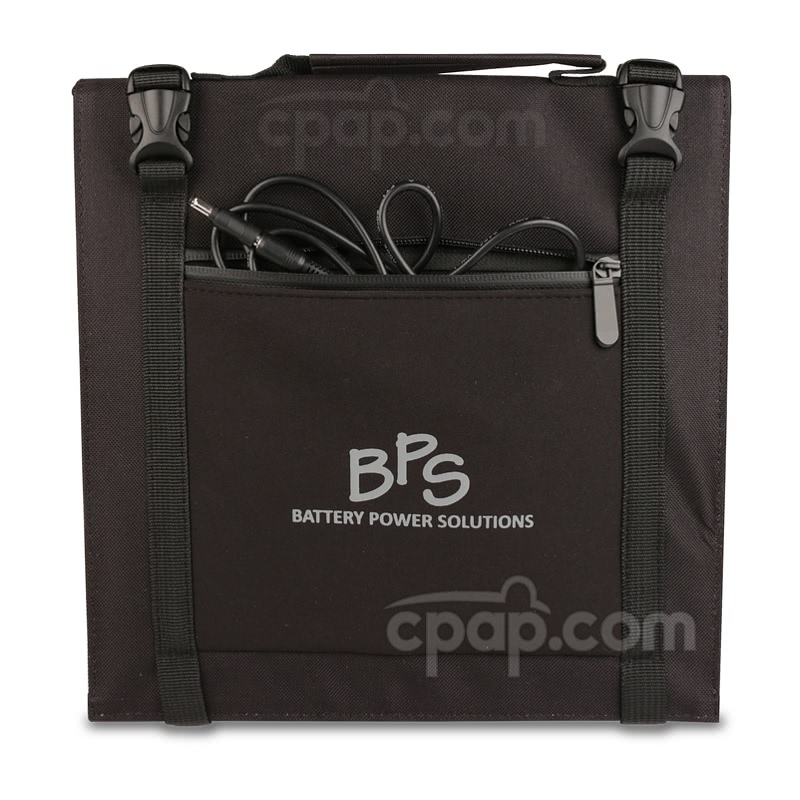 When the solar panel has completed the charging cycle, detach the C-100 Battery Pack from the Solar Panel. Locate the center compartment, unzip the pouch, and unwrap the connection cord. Grab the charge connector, and attach the male component of the connector to the connection cord. Add the connection tip to the female end of the charge connector. Gently push the connector tip into the DC IN opening on the Freedom Battery. Open the solar panels and begin charging the battery. 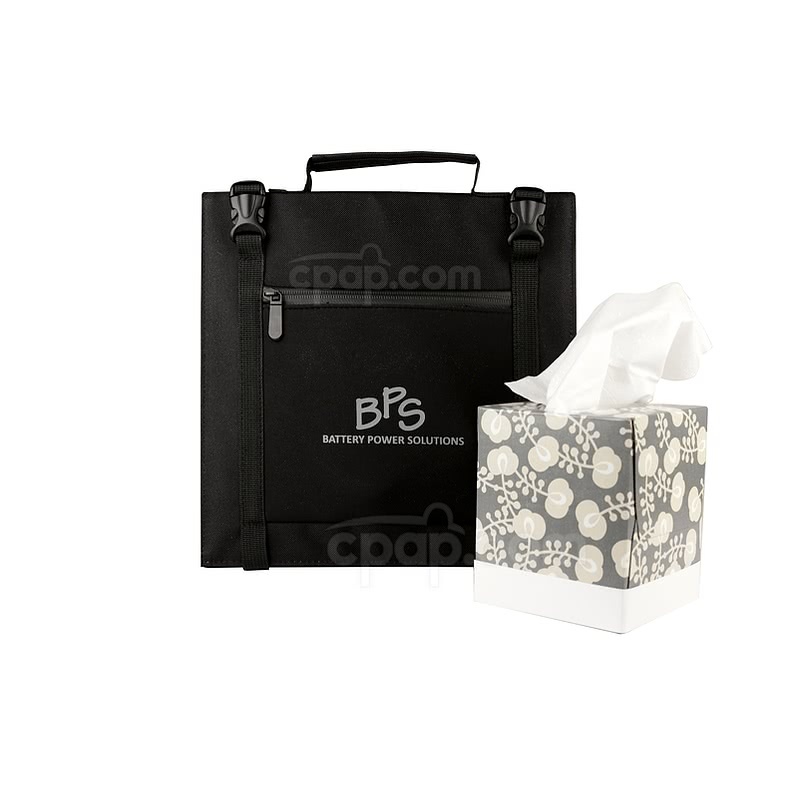 To store the unit, fold the panels along the crease to create the compact carrier. As the panels are folding over one another, the fabric should always be on the exterior to protect the solar panels from damage. If the solar panel gets wet from outdoor condensation, gently wipe it clean with a dry cloth. Then, allow the solar panels to dry. The unit is not intended to be machine washed. Do not use the solar panels to charge non-rechargeable batteries. Caution is advised in weather conditions such as rain and snow. The solar panels are waterproof and can be exposed to the elements. However; the connection cord, which extends from the front pocket does not repel water and it must be kept dry. Due to the unreliable nature of weather, it is best to store the SunPower Solar Panel indoors. The SunPower Solar Panel does not maintain a charge after it is removed from the sunlight. The panel soaks in energy from the sun and quickly transfers the energy to the battery pack, which will maintain the charge. The solar panel must have sunshine to operate and does not hold a charge once it is removed from the sun.